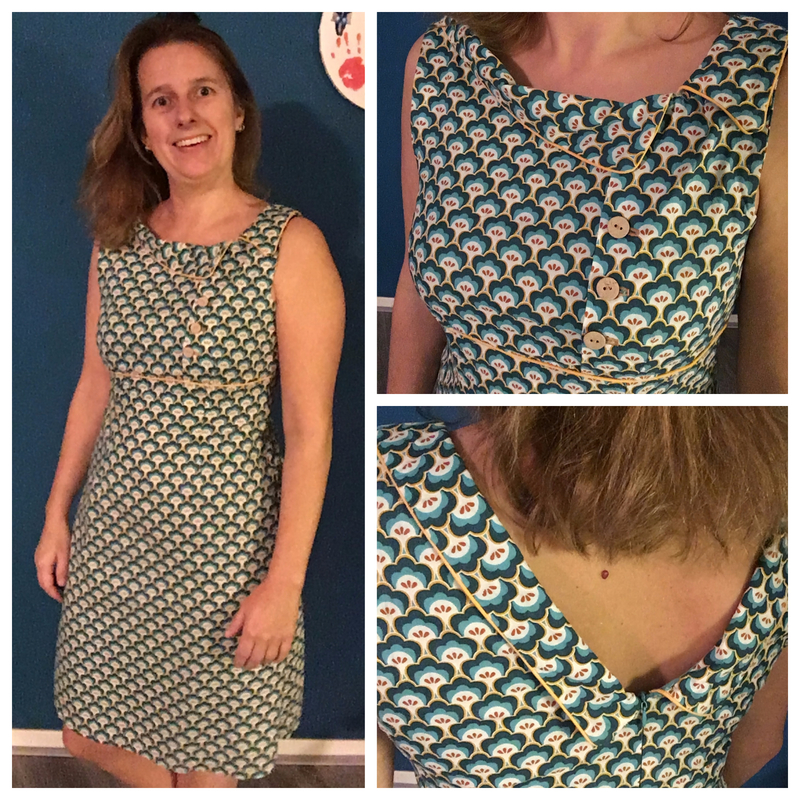 This is the very first dress that I made using a sewing pattern. Also the very first time that I used a cotton fabric. I find the instructions in the pattern book easy to follow and fun to read. I couldn’t wait to start making my dress, but the way it was described got me even more excited. So this pattern can even be used for a beginner level, like myself. I got inspired by a photo on pinterest where the dress was finished with piping cord. I chose for an ocher color to match the fabric. Since the print of the fabric is quite busy I decided to finish the color as well to distinguish it more. It was also the first time I used piping cord and it can definiately use improvement, but I’m really happy that I added it.